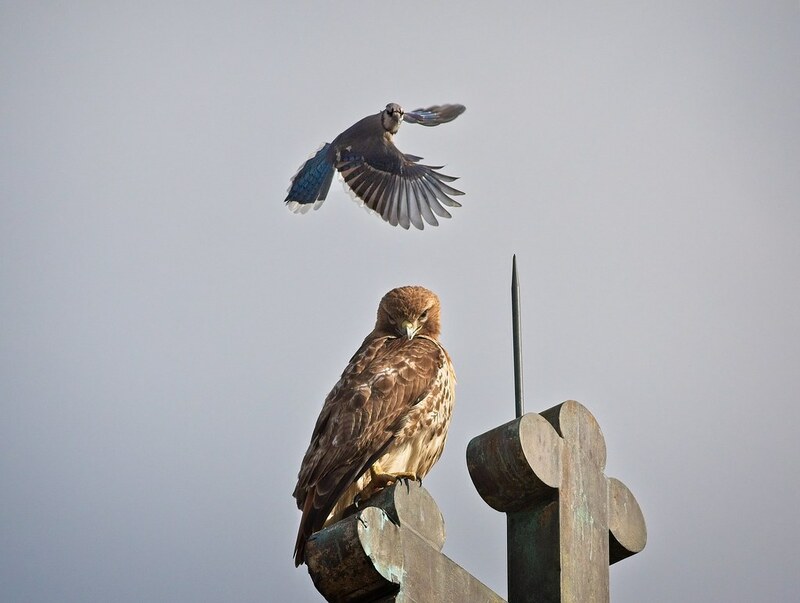 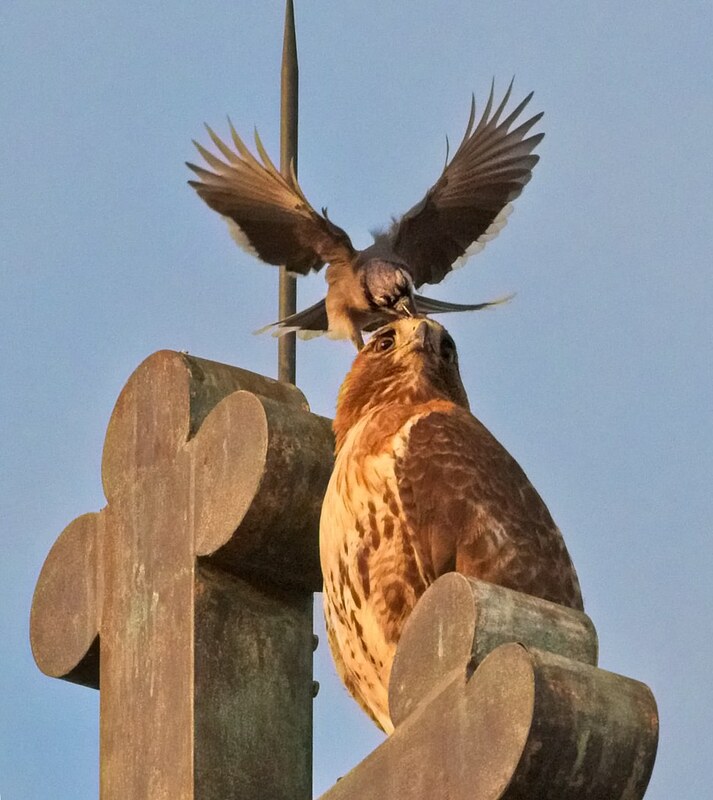 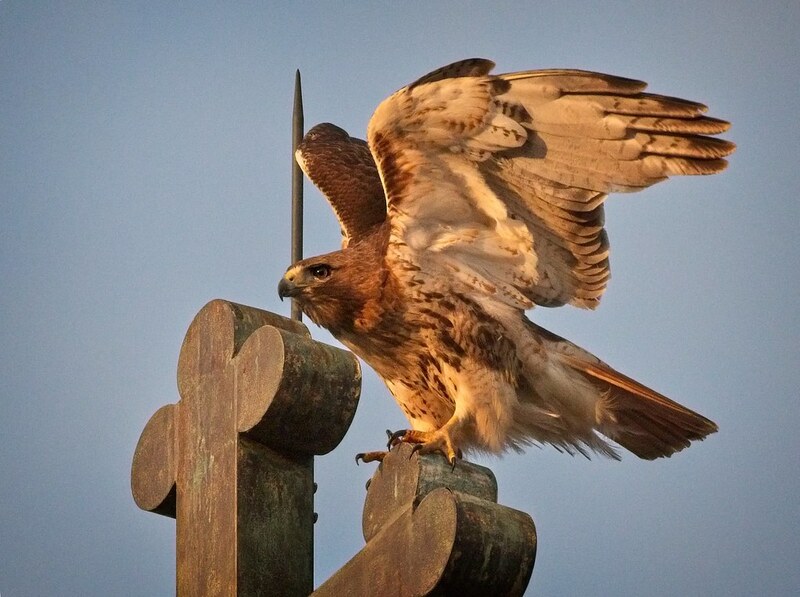 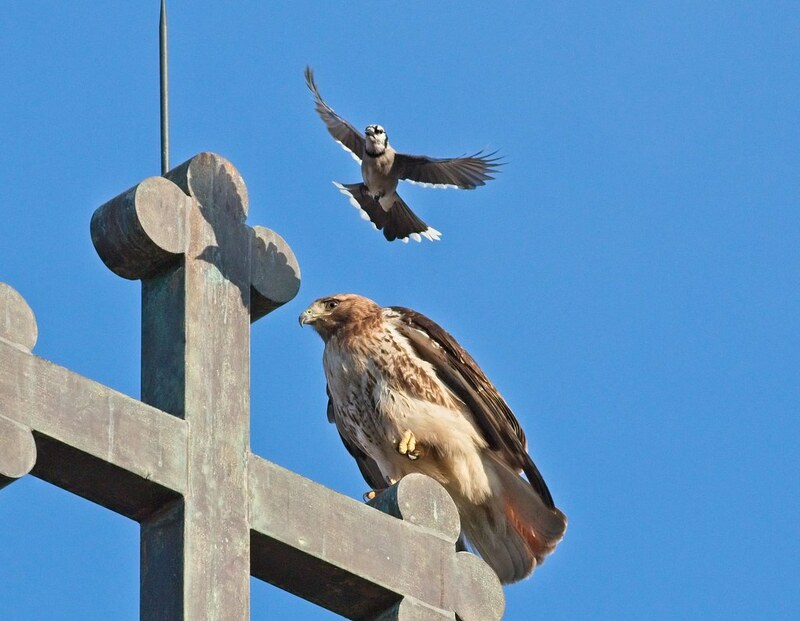 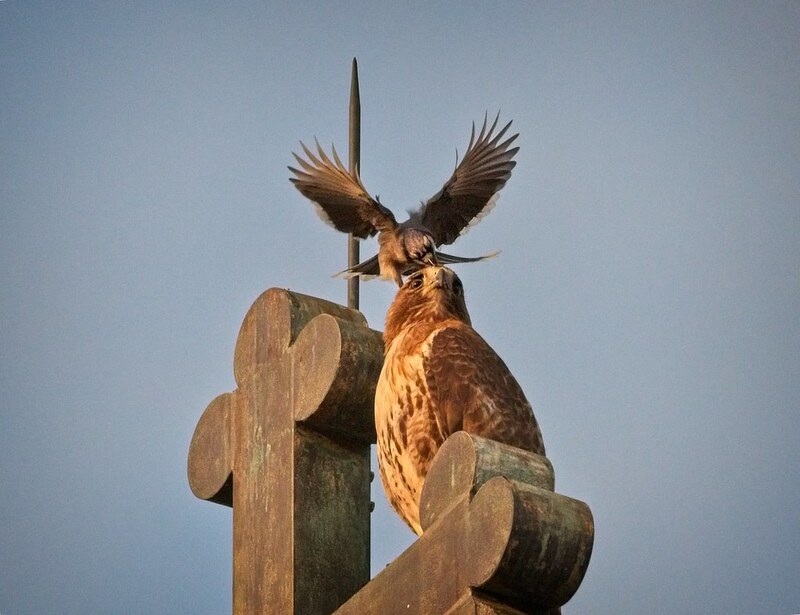 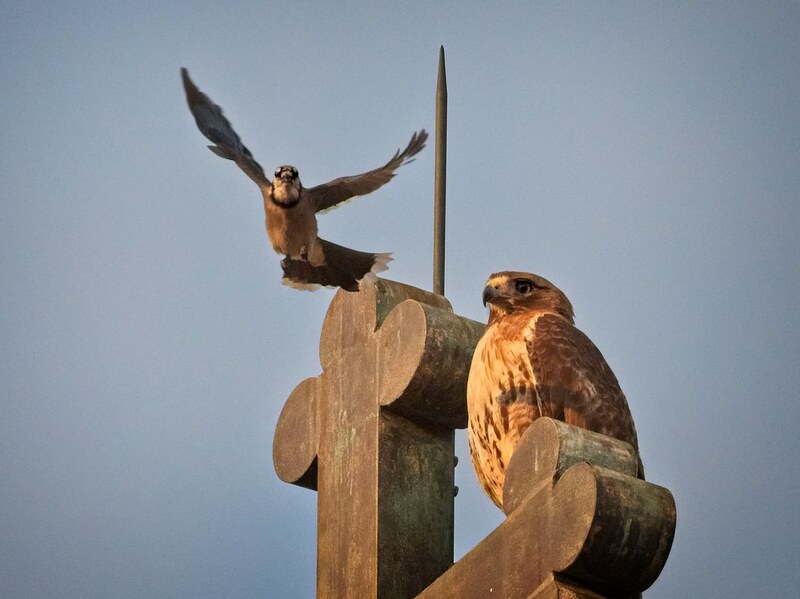 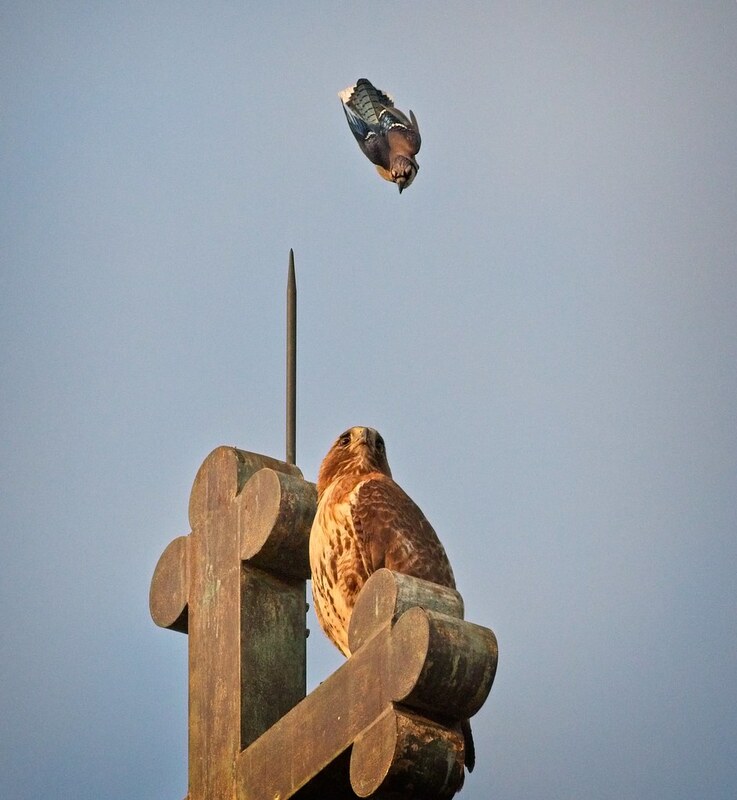 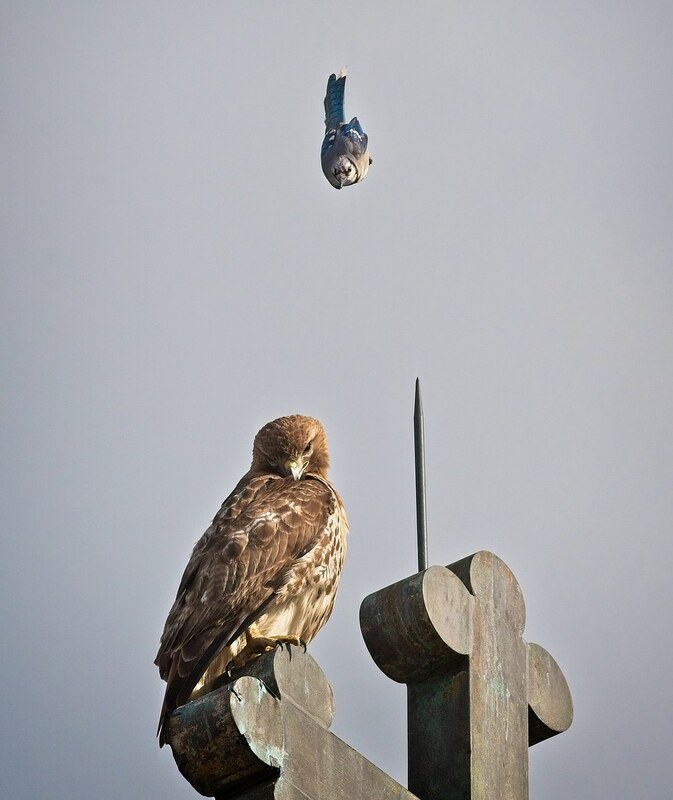 Christo is not the only hawk being assaulted by blue jays atop St Brigid's church cross on a regular basis. 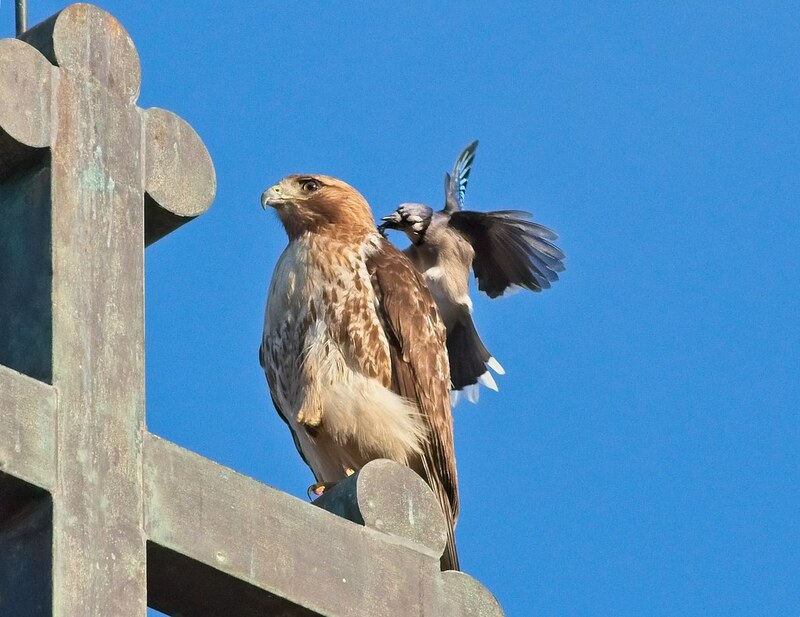 Amelia is getting her fair share of harassment as well. 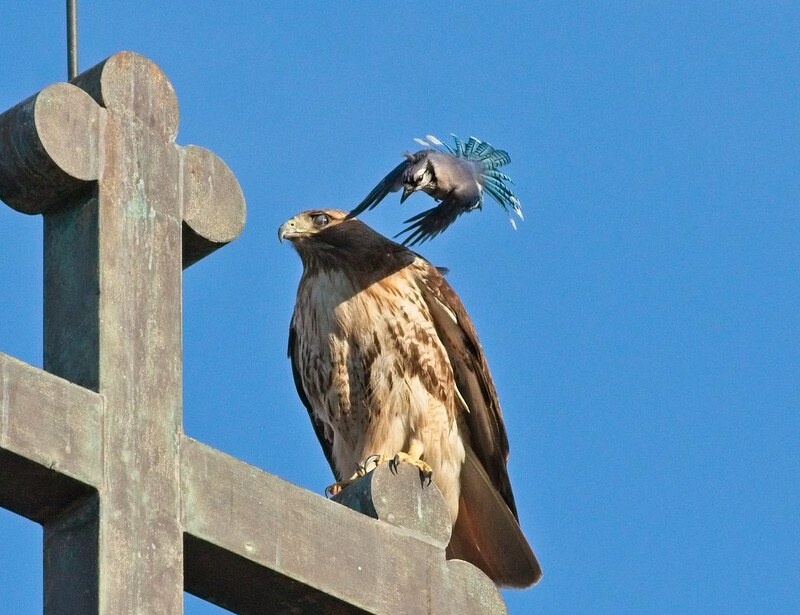 After this bout of bullying, Amelia just shook it off and stretched in the setting sun. 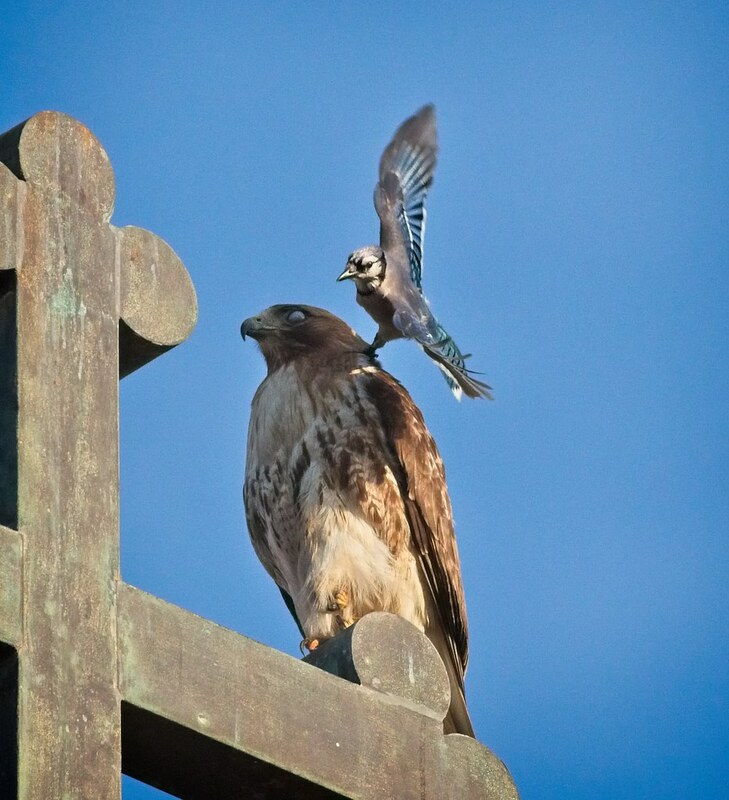 You can see many more photos of Christo, Dora, Amelia and red-tail fledglings being mobbed by blue jays here.